Which country produces the most gold? What’s the world’s largest company? What’s the world’s busiest airport? If you’re ready to geek out on minutiae, then this week’s giveaway is for you. Here’s how to enter: Take your best guess at which country produces the most gold, and then submit your answer to this blog by Tuesday, December 18. 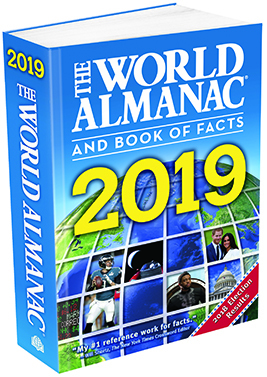 One lucky teacher will win the 2019 World Almanac. You’ll head into the new year full of facts, figures, graphs, and great info! Check out this week’s freebies and contests; they’re filled with news to use, too! 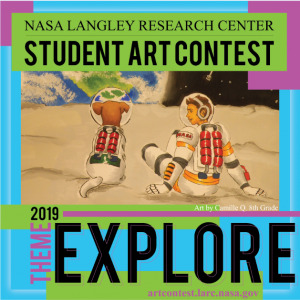 The 2019 NASA Langley Student Art Contest is now open. This year’s theme is “Explore;” students in grades K–12 are invited to illustrate their visions for the future of aeronautics, exploration, and Earth Science. Entries are due December 31. Visit artcontest.larc.nasa.gov to get started. The Caplan Foundation for Early Childhood provides seed money to organizations working on improving the welfare of children from infancy to age 7. Previous grants have been up to $100,000. To get started, visit earlychildhoodfoundation.org. Teaching Tolerance has 500 free lessons on topics such as social-emotional learning skills, challenging bias, and talking about diversity. Learn more at tolerance.org/classroom-resources/lessons. PS: There’s a new collection of books to win from Disney Books. Click here for this month’s sweepstakes. Australia, Peru, S.Africa, Russia and China are some of the top gold producing countries, with China being number one I believe. Uzbekistan is the top producer. My daughter who is in Model United Nations brought this up at dinner last night. Russia!! I would love to give this book to the after school class! My educated guess is Russia. I think it is China. I know Uzbekistan is in the top 10, also South Africa and Ghana are up there on the list.